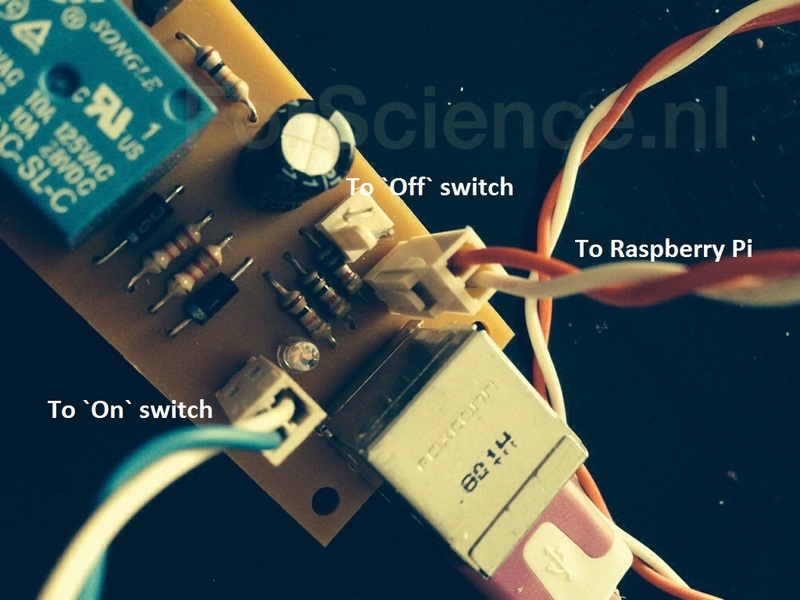 Just follow the red and white wires to the Raspberry Pi, they are for they actual switching. The Blue and white wires are connected to the external “On” button. 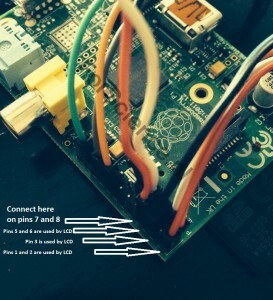 This is how the red and white wires are connected on the Raspberry Pi. 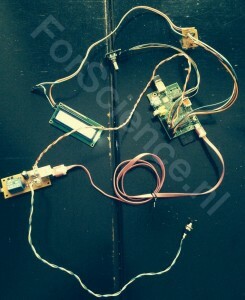 There are quite a few other wires connected as it also has and lcd display and a rotary encoder connected to it. 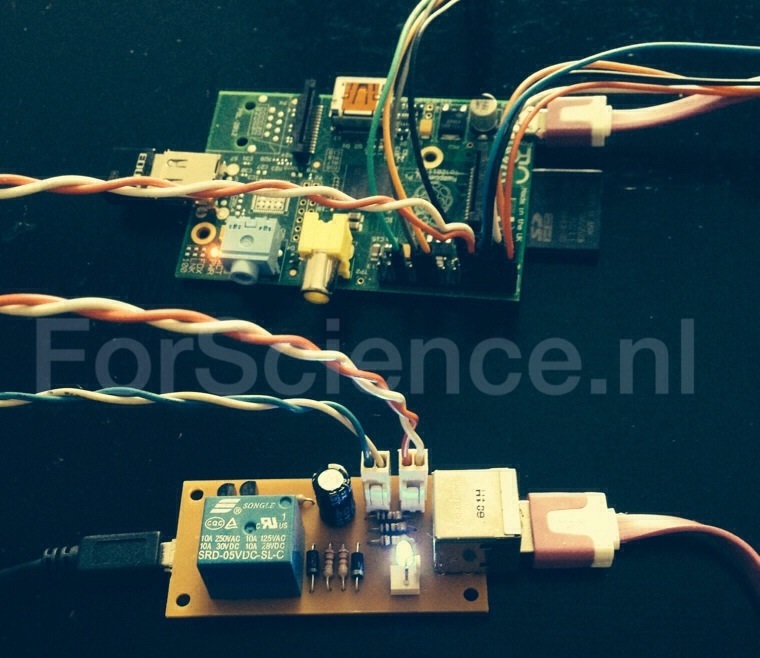 This entry was posted on Friday, May 30th, 2014 at 17:02 and is filed under Raspberry Pi, Wifi Radio. You can follow any responses to this entry through the RSS 2.0 feed. Both comments and pings are currently closed. Hi There, I was wondering what are the voltage values did you use on the capacitors, fets and inductors? 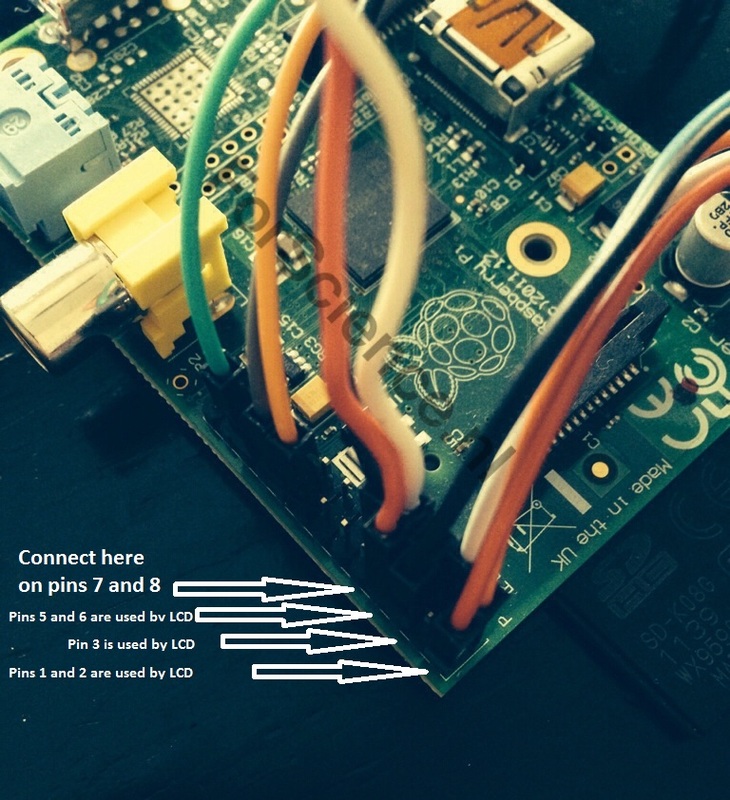 I am planning to scratch build this one for my Pi. Hope that you can answer my query. The resistors are standard ones, same for the two transistors BC548. The 220uF Capacitor I use is rated 25V. I expect a 16V to work just fine as well.